We leave on 28 December from O.R. Tambo International Airport. If purchase your plane ticket well in advance, you will be saving a considerable amount of money. We will meet at O.R. Tambo at 12h00. It must be taken into account at all times that the Vasbyt is not a tourist outing. The Vasbyt is an extremely difficult course where you will be learning various life-skills. We strive to choose the perfect destinations where you will be able to appreciate the nature of this tour. In 29 Des out 2 January . 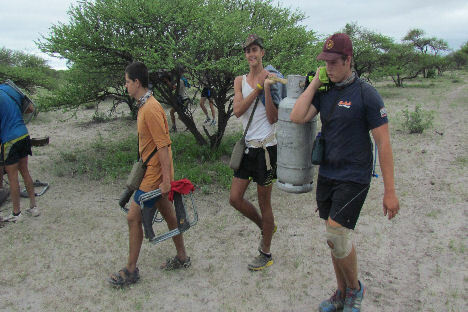 We will stay in a rural school with limited facilities and in the bush near Victoria Falls. here we will do a basic photograph and field guiding course among others. 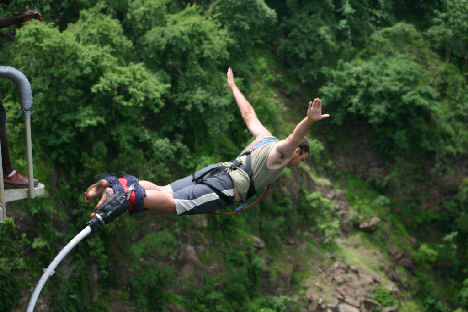 In 31 and 1 Jan 2020: Victoria Falls – we visit the waterfalls and tackle the bungee jumping. During the Vasbyt your phobias will become a thing of the past and you will be ready to tackle the 110m bungee jump. Bloukrans may be the highest jump, but Victoria Falls is so much more exciting. The narrow kloof, gushing water and the mist from the waterfall ensures that the bungee jumping will never be forgotten. Although there was an incident in the past where someone was slightly injured, we have been assured that the new safety measures are more than adequate. In 2 out 3 January 2020: Victoria Falls to Chobe. We start the day off with great excitement - adrenaline will running high from yesterday’s experience. We will tackle the rapids under the Victoria Falls - Victoria Falls is the highest waterfall in the world. 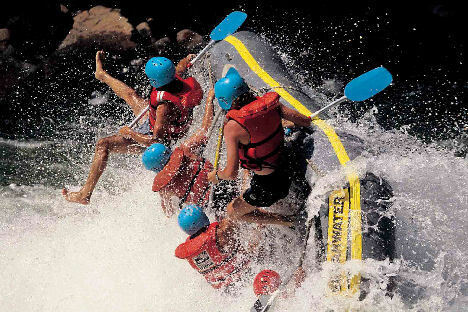 The white water rafting is always the highlight on the Kalahari Vasbyt. We will then be going to the Chobe National Park which is near Kasane in Botswana. This is indeed a beautiful area and we will stay over for 1 night to prepare ourselves and to have some free time. 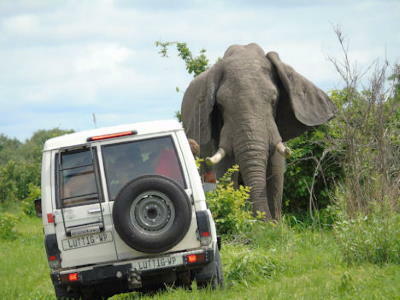 In 3 out 5 January 2020: Savuti – we will firstly be doing a wildlife drive along the river before leaving for Savuti. 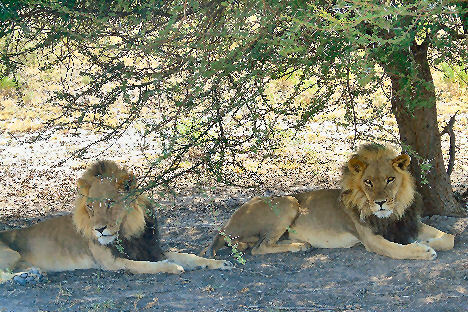 Savuti is certainly one of the places in Southern-Africa where the most game can be viewed. In 5 out 7 January 2020: Khwai river. This is in the actual Okavango Delta. Khwai is my favourite camp and accordingly why we spend 2 nights here. 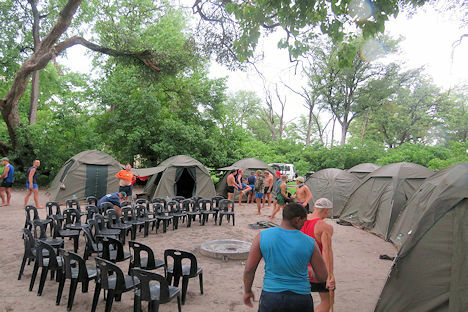 In 7 out 8 January 2020: Maun – In Maun we stock up on provisions for the rest of the safari. In 8 out 10 January 2019: Central-Kalahari National Park – Our first day in the Central-Kalahari. 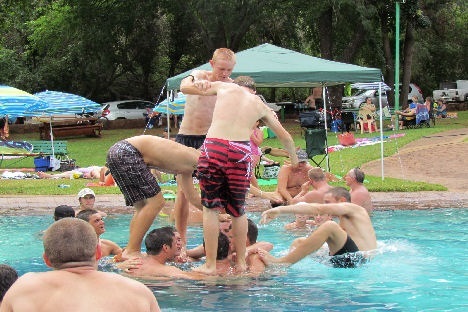 Without a doubt, this is the highlight of the Vasbyt. You are most likely to encounter most wild animals in this area. This is not only physical, but you will realise what it means to live in harmony with the Creator and his creations. From December to April thousands of animals (mammals) travel together from Deception Valley, followed by large numbers of lions and other predators. At night while fellow Vasbyters’ are sleeping, 1 will be standing guard. This is how we build confidence in each other as well as appreciating nature. 9 Jan: Route March - Die route march is die culmination of every Vasbyt course and if you are not fit or emotionally prepared and motivated, you will not make it. This does not mean you have to be superman. You will have enough water and the right food to succeed. In the past, even those that did not take part in sport before, have succeeded in this extremely difficult adventure because they trusted and believed in their own capacity for endurance and their own abilities. In 11 out 12 Jan: Lethlakane“route march”. We will prepare ourselves for the last session of PT and the “route march”. In 12 and out 13 Jan: Khama Rhino Sanctuary. We will be staying at the campsite. We’ll do our final session of PT, make sure everything is clean and tidy and do our last qualifying PT. 13 Jan: Klein Kariba: The rules stipulate that we must complete the final time triles tonight. After that we can relax in the warmbaths. The slippery slide is very popular – no fun here after midnight though. 14 Jan: O.R. Tambo International Airport where you will fly home or to your school. The return flight is included in the tour price.